November 16 is here and sure enough, the Japanese Legends 3 devroom is open! The English devroom isn't open just yet, but we've got some nice details from the Japanese side of things in the meantime. The above image is a wallpaper Japanese fans get upon opting in for the devroom. I imagine the U.S side will have something similar. 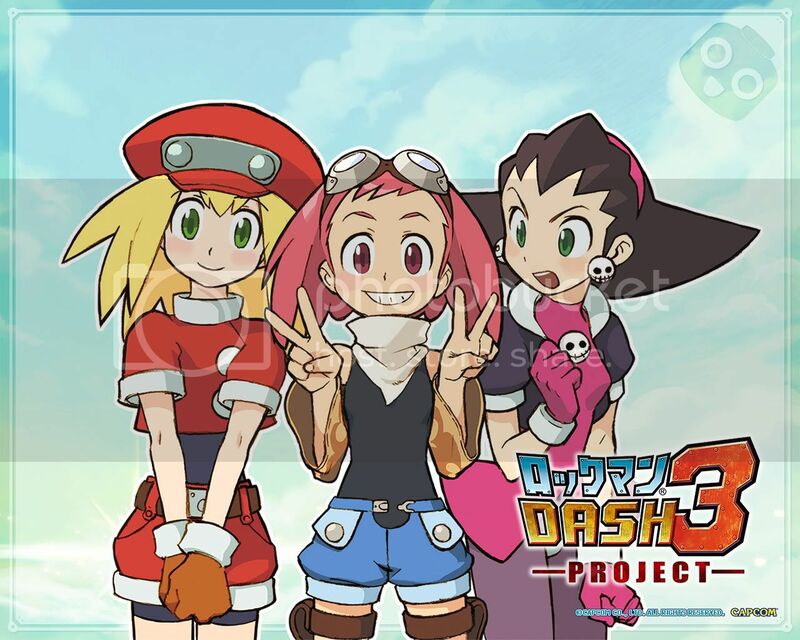 Lastly, for now, the devroom is featuring a nice Legends 3 completion meter towards the top right of the page. 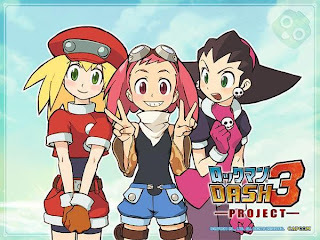 As of this writing, the "rocket to go save Rockman" is only at 1% completion. Long ways to go, but we'll get there! Stay tuned for U.S devroom updates later today. UPDATE: The U.S Devroom is slowly coming to fruition. 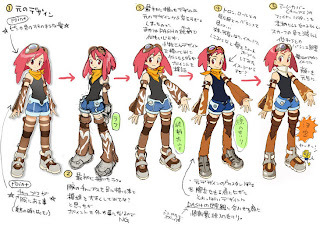 ① The main design points of the original design were her “pink feather-like hair” and the “chaps on her arms”. ② The first rough sketch. What would happen if I took the chaps on her arms and brought them to her legs with a slightly bigger pattern? This was no good because it went against the original two design points. ③ Since the last try was unsuccessful, I decided to draw Komaki-san’s design in the traditional Legends style and then analyze any mistakes. ④ Trying to find a balance between Tron and Roll, I went for a younger, more peepy look, and gave her hair a short bob. Was this too much? 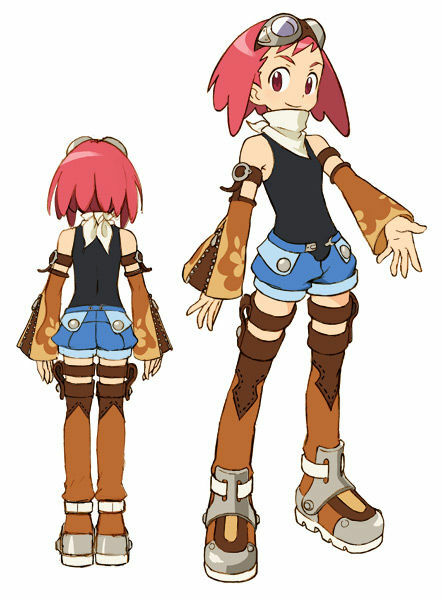 ⑤ I took the flame pattern on her chaps and changed it to a more feminine flower pattern. I toned down the color in her scarf and made other various adjustments to add some balance. I put her hair back to its original style and gave her face a little bit more blush. More translated material at the devroom! Aero is really cute!!!!!!! But I like the 3rd design bangs better.... But I like this a lot too!!!!!! I can see it now. Aero's going to troll Volnutt, multiple times. Also, yay for no more ridiculous zipper sleeves! 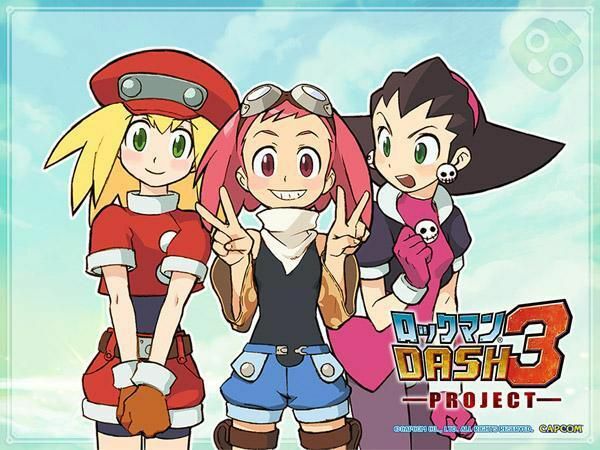 That was my only gripe with her original design. I liked her first design better than her finished one ._. . It looks that instead on upgrading her look they degraded her >_>"
Not much of a redesign, and they kept that stupid armwear. I sort wish they had given her a different style of bottoms since Roll has shorts, but besides that yeah, Aero fits in quite well. So glad to see the Devroom open, hope the English site opens soon. I like the retooled appearance! She matches up pretty nicely with Tron and Roll, this way. 'Though, I wonder...would her final name have been different if another design won? "Aero," huh? I guess that fits this one a bit better than "Lilly." I have a feeling some people will complain of the final look, saying the original was better, and other people will say other designs would be better in the final. But I agree that it's no to shabby. Did I vote for her? ...Maybe? But anyway, that is an awesome design. They actually didn't do any significant change to the design that I can see. Hmmm. Not bad. 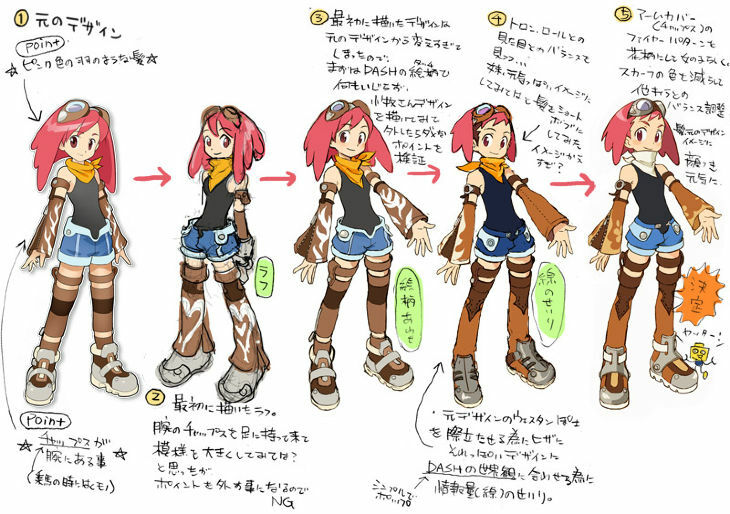 The subtle changes make her look less "Battle Network-y" and more "Legends-y", so I like it. I'm starting to warm up to this design, even if it's not the one that I voted for. Awesome design choices. The little liberties and deviations taken really transformed her into a Legends character. Judging from her current design and new name, I can imagine she will be pretty skilled at piloting Flying Machines? I like the original version. Tell them to go back to an original version. STOP KILLED THE ORIGINAL VERSION! STOP! But seriously, look at her face! LOOK AT IT. Uhm... excuse me? While the final design is close, it isn't the one we voted on. It isn't even the right name that WE voted on o_0 what's the point of holding a vote when the result is different? It's Sephiroth's relative!!!!!!!!!!!! Rock and roll!!!!!!!! I guess "Sephira" works, too. Sephira sounds a hell of a lot better than Aero. Strange name for someone that looks like that, though. Capcom must know what they're doing in this case.